The #1 Reason to List Your House Today! Many people believe that selling their house during “the spring buyers’ market” is the best thing to do. Their reasoning is that there will be more buyers than there are during the winter months and, therefore, their house will sell quicker and for a higher price. Historically, this made sense. However, today’s real estate market is not following the rules of the past. 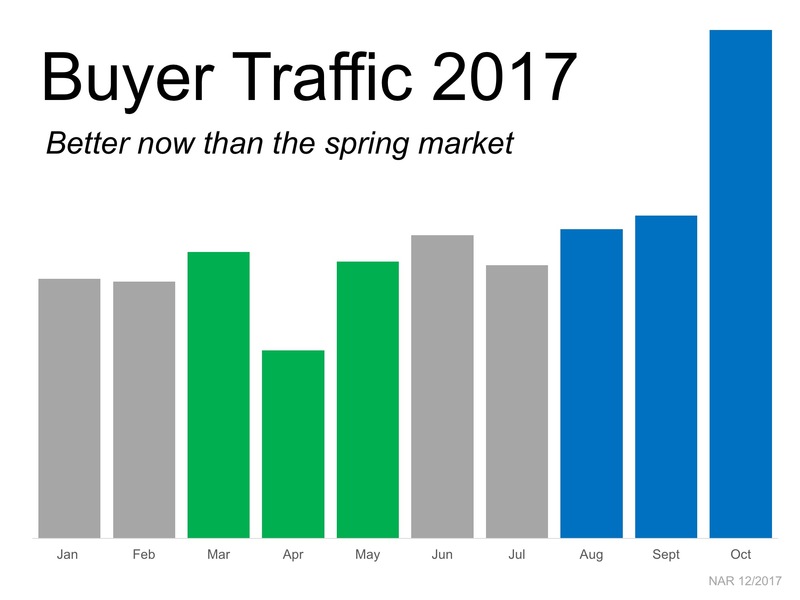 According to the latest Footnote Traffic Report, buyer traffic is greater now than it was during this year’s spring market and there are more buyers out now than at any other time in the last five years (March of 2012). The chart below shows that buyer activity over the last three months (blue bars) was greater than it was during this past spring market (green bars). If you are waiting for next spring to list your home because you think that’s when the buyers will be out in force, perhaps you should reconsider. Buyers are out right now!